The war between President Obama and Fox News is over. And it ended exactly as most observers expected: President Obama surrendered faster than the French army. 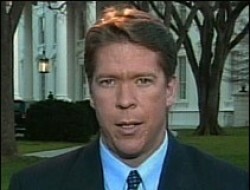 According to Drudge, Major Garrett will conduct the interview next week during the President’s China visit. Oddly enough, this happens the day after White House Propaganda Communications Director Anita Dunn, the Joseph Goebbels of the Obama administration, announced that she was leaving the White House. But please do not make the mistake of thinking that Dunn’s “resignation” had anything to do with the Fox News dust up that she directed. Of course not. In fact, she will return to the White House as a “consultant,” which allows the White House to count this as yet another job created or saved. and Major, ask if American military morale & suicide have anything to do with BHO’s post traumatitic “ANALYSIS PARALYSIS” while he seems unable to focus on anything but his health care agenda. Major, please ask President Obama if he suffers from “ANALYSIS PARALYSIS” as American husbands, wives, sons & daughters die in Afghanistan. Leadership “you can believe in” ? I saw that episode. The reporter is excited to interview Anna (Obama), and just before the interview begins, she tells the reporter that he is not allowed to ask any questions that could put her in a bad light. The reporter huffs and puffs, but eventually does the interview. When they eventually play the interview on TV, her first comment to the reporter is that they want to be completely open transparent, and he ask ask her anything, anything at all. Sound familiar? An alien says his administration is completely transparent, yet he attempts controls the media and is actually the most secretive administration in history. If you want to see the behing the scenes of the interview, watch the trailer from “V” when the alien leader is about to be interviewed. I just want to know how someone that ugly has the nerve to work in the public sector! And as a consultant, she’ll be able to charge a lot more.